We love mosaics and we especially love making them with resin. The crystal clear resin really lets you see the tiles and embedments in the mosaic. 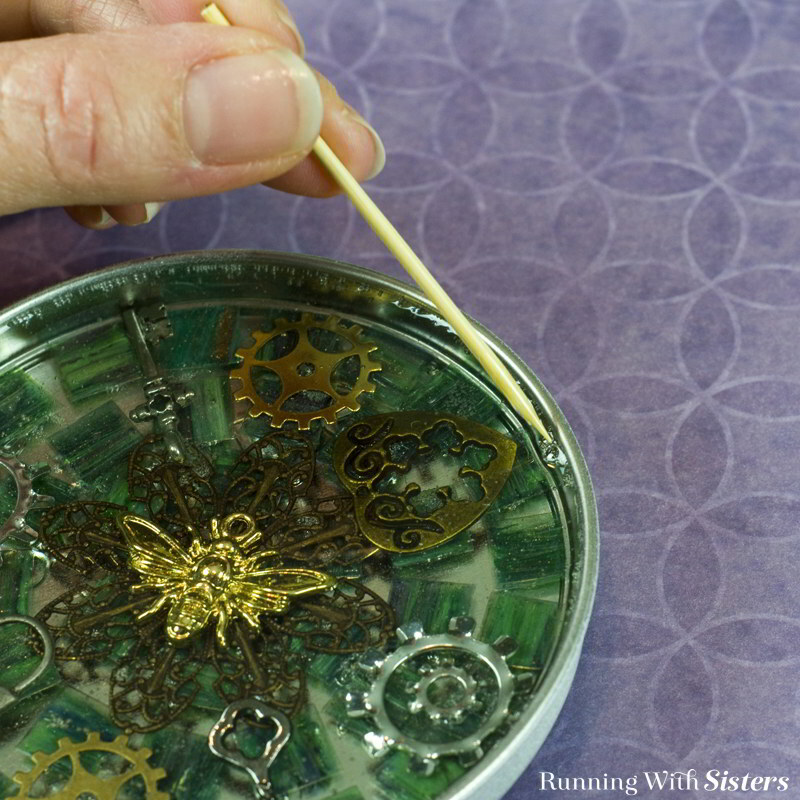 If you’ve never tried resin before, we have some great tips and tricks for you. It’s all about mixing the two-part resin evenly and thoroughly. And we’ll show you how! We’ve included a video so you can see exactly how we mix the resin. 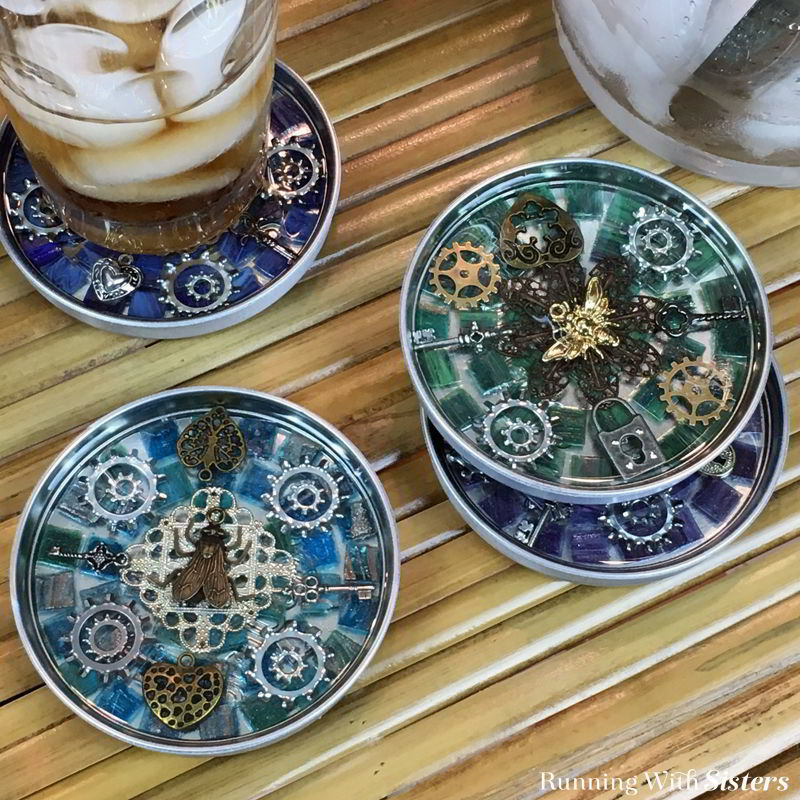 To make these Steampunk Mosaic Coasters or your own version, follow the steps below. And if you have any questions along the way, drop us a comment and we’ll reply. We’re always here to help! Start by raiding the recycle bin. We’ve made these coasters using peanut butter jar lids, salsa lids, and cookie tin lids. Just make sure the lids are metal, not plastic, and big enough to set a glass on! 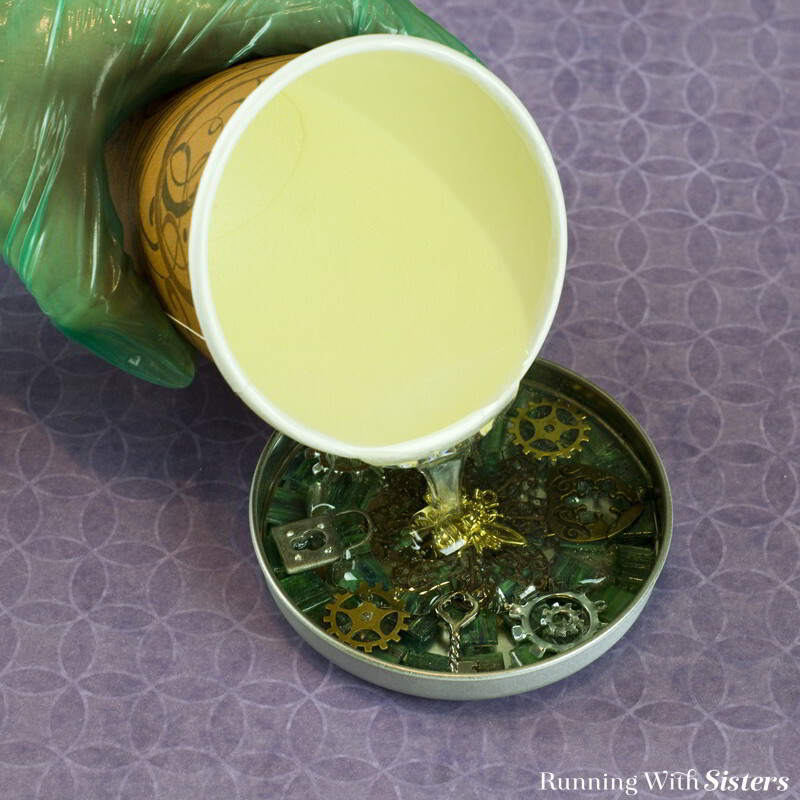 Wash and dry the jar lids and spray paint them silver inside and out. When the lids are dry, stick the four felt pads to the bottom of each lid. We love mixing locks, gears, and keys with brass dragonflies and bees to create a little steampunk chic look! 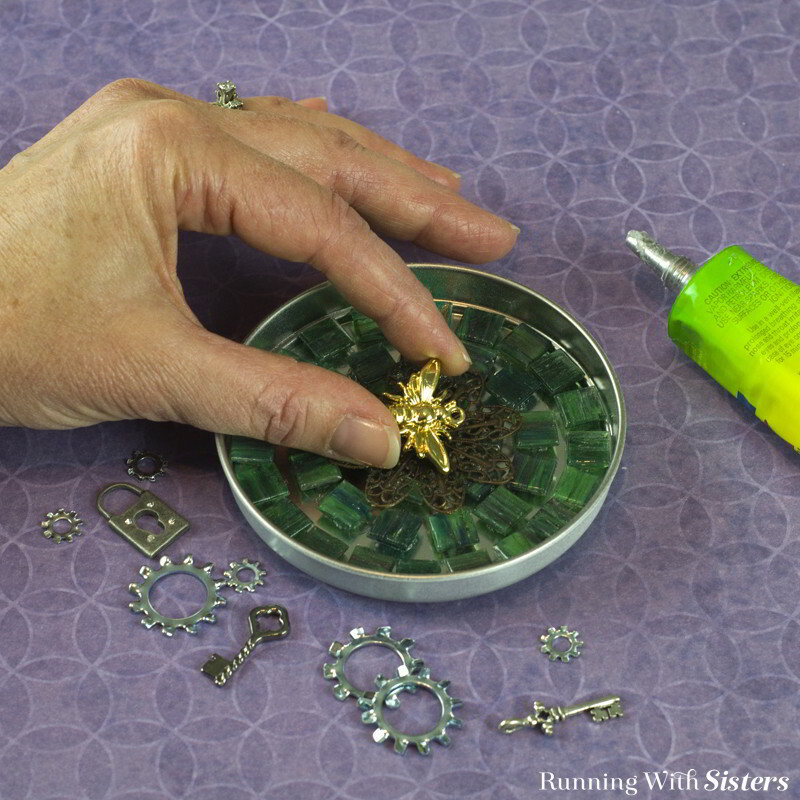 Start layering these goodies in the coaster by gluing the filigree on top of the tiles. Then center and glue the stamped metal bee on top. Or glue down whatever you find for your focal piece. Just make sure all your embedments are below the rim of the lid so they won’t protrude above the resin’s surface. 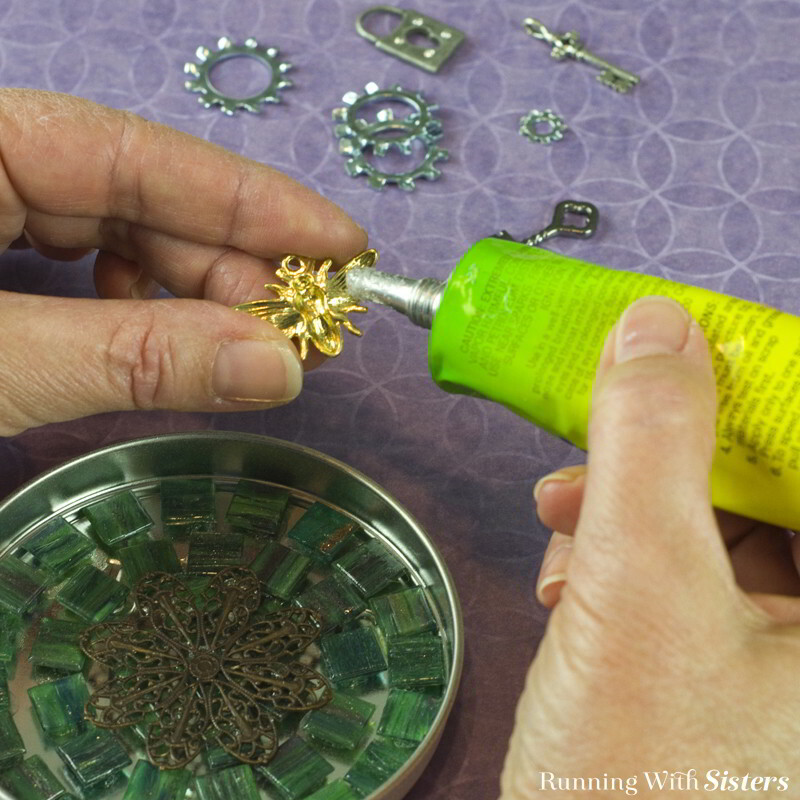 Arrange and glue the locking washers. (We love these locking washers. They look like gears and are really inexpensive at the hardware store.) Next, glue down the charms. Before you mix up the resin, make sure your coasters are ready for the resin and you are ready to pour. Once the resin is mixed together, you need to pour immediately. So, cover your level work surface. Put on your protective eyewear and gloves. And be sure your work area is well ventilated. Here’s a video we made showing how to mix the two-part resin. If you want to see more of our videos, check out and subscribe to our YouTube channel. We post new videos every week! Pour the resin in one cup and pour the hardener in second cup making sure the two amounts are the same. (This is important!) Our coasters used 2-3 ounces of mixed resin each so we needed 12 ounces total. This is a lot of resin to mix at one time, though, so we did it in two batches. First we measured 3 ounces of the resin in one cup and 3 ounces of hardener in another cup. Together this will fill two of the coasters. Once you have measured, pour the entire contents of each cup of resin and hardener into the third cup. Stir the mixed resin together with a paint stirring stick for two minutes. Be sure to scrape the bottom of the cup during stirring. Also scrape the resin off the stirring stick and back into the mix, then continue mixing. After two minutes, pour the mixed resin into a fourth clean cup. Mix again for one minute using a new clean paint stirring stick. Repeat the process to make enough resin for the last two coasters. Be sure to use new, clean cups for every step! Pour the resin mixture over the embedments in the lid spreading the resin evenly over the tiles and steampunk goodies. 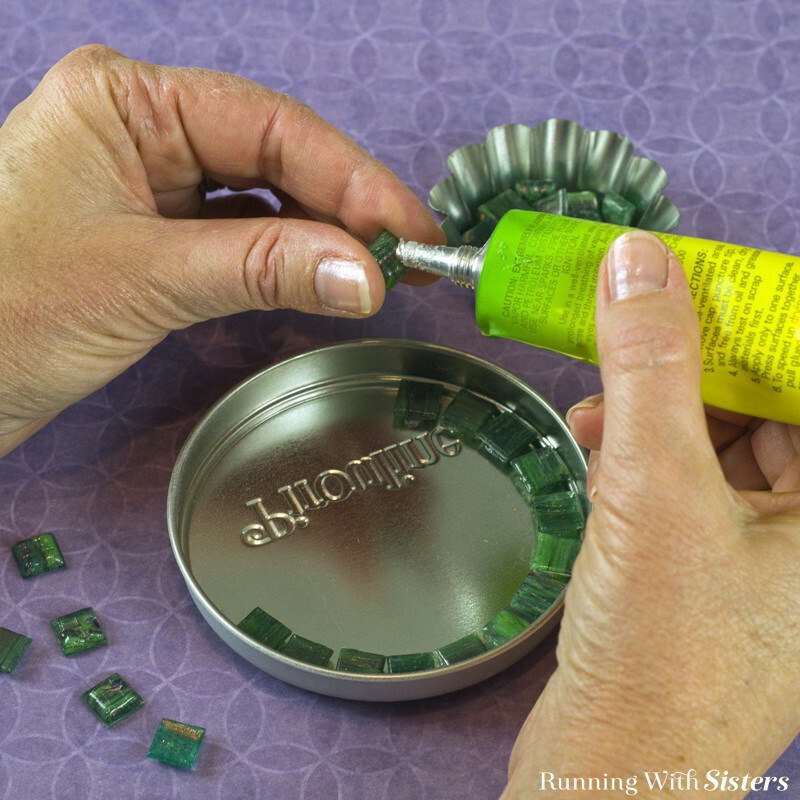 Tip the lid to evenly distribute the resin to the edge. Make sure you have covered all the tiles and goodies with resin. Five to fifteen minutes after pouring the resin, little bubbles will appear. These are a part of the process. Exhale gently over the surface of the coaster to release the bubbles. (The carbon dioxide in your exhaled breath releases the bubbles.) You can pop the big bubbles with a toothpick. Let the coasters cure on a level surface in a dust-free area for 48 hours. 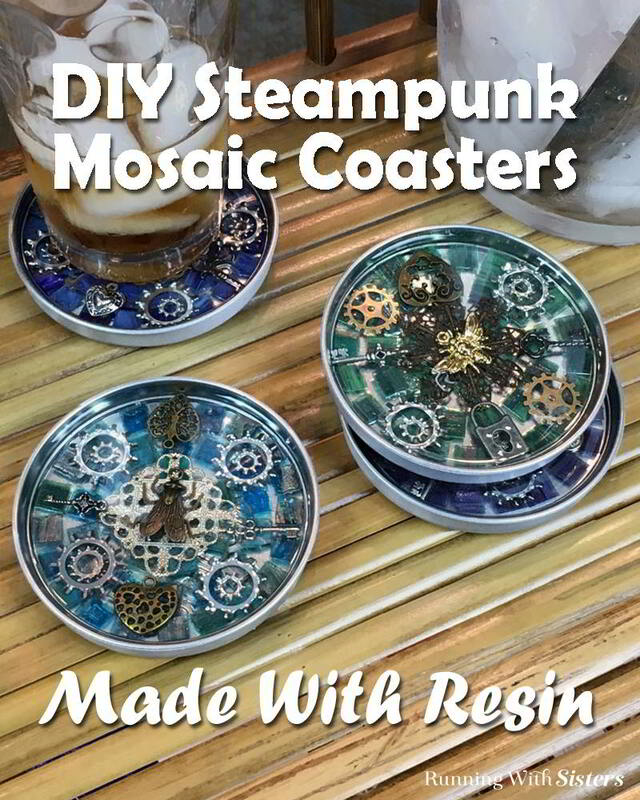 We hope you have fun making your own Steampunk Mosaic Coasters with resin. These make really cool DIY gifts, especially for guys! And remember if you have any questions or comments while you’re working on your project, you can post a comment and we’ll respond. We’re here to help! What type of “permanent glue” did you use? We used Beacon Adhesive’s Quick Grip. I never, EVER, leave messages. I guess I am a snob about things. But, I LOVE this. This is a very classy project I can do with my teenage grandson for his father who just loves steampunk. Thank you for sharing your talent. and I LOVE the name of your group (running with sisters). It’s very clever. You must be very smart girls. Thanks. Thanks Fran! What a nice comment. So glad you like the project and hope you have fun making your own. We’re sure they’ll turn out very cool! I love these coasters. I am definitely going to try doing these. This is the 1st time on your site. I will look forward to seeing other projects. Beautiful way to recycle bottle lids. You both are very creative. Be sure to watch our video showing how to mix the resin. That method really works for us. Good luck! Love this and have purchased some items to get started. 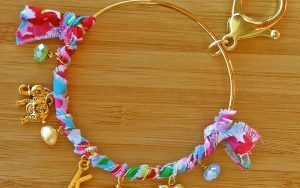 Do you use wide mouth or regular size lids for this project? Believe I would prefer the wide mouth but having difficulty finding one piece wide mouth. Love this idea! 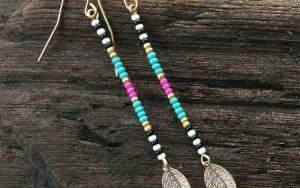 I make jewelry, but I will be giving this a try. Yay! They’ll be like jewelry for your table! Yay! So glad you like them! You’ll have fun putting them together! Aw thank you! This is a really fun craft to make! Where did you get the charms? Great question Lynn. 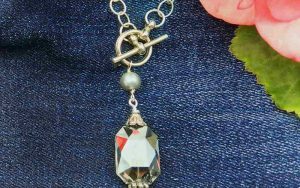 Cousin makes the tiny skeleton key charms. They also have hearts and locks to choose from. 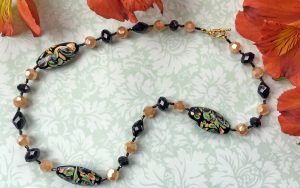 (Most of the big craft stores carry Cousin, but you can also find them online at http://www.primabead.com . They are a lovely family run company from Florida near where we grew up! 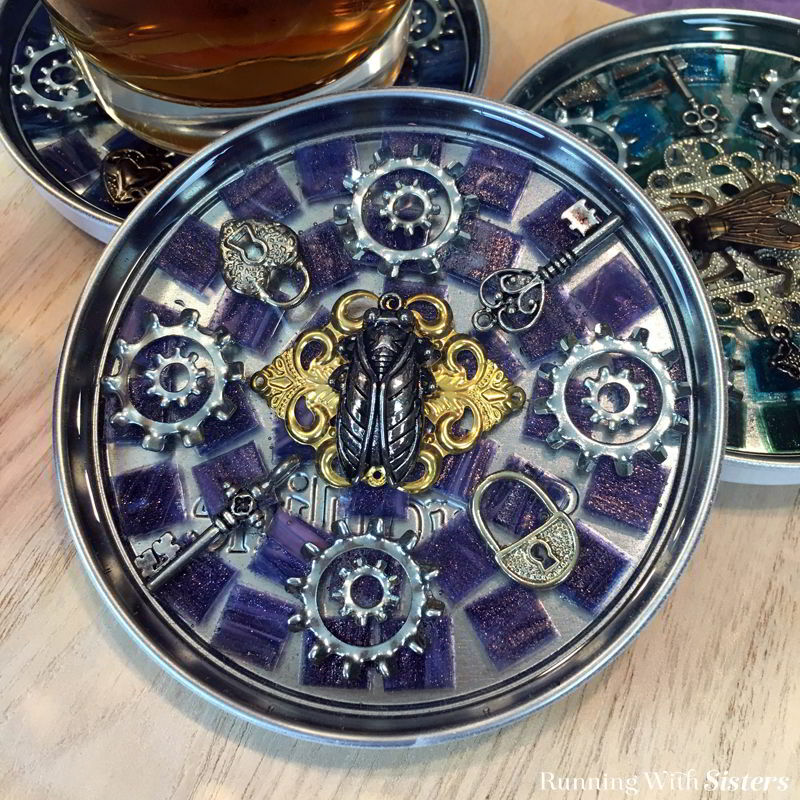 What pretty coasters – how much do they work out a piece, cost-wise? Thanks Susie! We’re not really sure. The resin would be the most expensive supply needed and it costs about $10 for the kit. Adding up the charms and glue might total $24 depending on what tiles and things you might already have. So maybe they cost $5 or $6 each? You could try buttons, just watch out for air bubbles that might get trapped in the holes. You can poke them with a straight pin! I love the coasters! I have a question about mixing the resin. I understand the first two cups for measuring purposes and the third cup to mix them together but why the fourth? Seems to me that a little bit of resin gets left behind in each cup as you go along and it would be wasteful. Just curious. It does waste a little resin and hardener, but it is the best way to ensure that you have thoroughly mixed the resin and hardener. If you skip the last cup, you may have unmixed resin and hardener in your pour. It will not set up if not 100% mixed. It will be sticky. Then the whole batch is wasted. This is the technique recommended by the manufacturer after lots of research and it has always worked for us. Hope that helps! How do I save this so I can refer to it when I am ready to make this project? Hi Teri, Are you on Pinterest? It is the perfect way to save craft projects (and recipes!) for later. 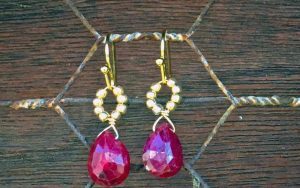 You can “pin” this project to your Craft Board and it will be there waiting for you when you have time to make it. Love these!! Christmas presents for sure. Looks like fun picking out the different embellishments and creating that steampunk look! So unique!! Thanks so much. I’m not sure if I can come up with enough lids of the same dimensions though. In search of some to buy on line. Thanks Carol! We bought Pirouline tins at Big Lots for about $3 each. We served the delicious Piroulines (it’s a yummy pastry/cookie) at a party then upcycled the lids for this project. We saved the tins themselves to use later. You could also use salsa jar lids. Love these but where do u find lids like that? Thanks Jennifer! Definitely make some! They’re so fun! We don’t think of it as wasting the cups, because we are using them to mix in. And we think it’s better to use the cups than risk not having the resin and hardener thoroughly mixed. Then the whole batch is wasted and your project could be ruined. We really want you to have success with this project so we are recommending the very best way to do it to ensure success. This is the technique developed by the manufacturer and we’ve always had success with it. Hope that helps! Can I use pictures and what can I put under the picture. Yes, Barbara! You can use pictures, but you should laminate them first. Our Scrabble tile necklace project shows how. I love this project. I’ve been looking for something small to do to learn a little about resin before tackling a big project, and these are perfect! I intend to cover a coffee table top with pennies and pour resin over it, but it’s a big project to try as a first attempt and it’s got me a bit intimidated, a few of these will be perfect and useful and cute. Great table idea! And what a good plan to try a small resin project first. We’ve done resin a lot, including a table, and the experience of doing smaller projects definitely gave us the confidence to do the bigger projects. And with success! Let us know if you have any questions. It worked! I did find when using paper towel with alcohol pieces would stick so I stopped using the paper towel and used a popcicle stick to scrap surface of any defects (paper towel pieces included). Then I poured a thin layer of alcohol over the tops and let sit and evaporate. The new resin layer went on fine and hardened nicely. Yeah! Thank you! * I have been buying Mason jar wide mouth covers at Walmart for the base for these. You do have to glue the lid down into the ring first, but for way less expense…$4.99 for 24 lids & rings! This is a really cool idea but I’m not in to steam punk I wonder if this could be done with beads and old jewelry. Sorry…was about to finish my coasters…looking over the info., “not plastic lids”? Used large birdfood lids…very sturdy, but not metal…what happens to “plastic” so cannot be used? Good luck with your coasters! Let us know how it turns out! I really like the coasters ! That’s going to be a Christmas presents. So I need to start now ! What a wonderful memento. We do love buttons on pillow too! Here’s one we found at a resale shop. We loved it so much we bought it! These are beautiful! Do you think a photo would survive having resin poured on it? Can you do a first layer, let it dry and add more trinkets before adding a second layer? Yes! You will want to clean the first layer with alcohol before adding the second layer. Let us know if you have more questions or need more help! Thanks, Love this idea and can hardly wait to try it!! Thanks for the idea I finally finished mine and love them! I used lids from and Body Works 3 wick candles really like the lids which are plated. My husband even got into the project. Great tip on the lids! Love this… now I have to sign up for your newsletter for more cool stuff!!! I love this project Christmas project. These are so fun looking. Will try them eventually. Great gift and I love to mosaic and resin! Thank you. Super cute!! Gotta make some! !